If you have an eCommerce store, you know cart abandonment is a daily reality. However, if you are able to convert a small percentage of your abandoned cart, it would make a big difference in your revenue. You may find several strategies that would help you to reduce cart abandonment and increase conversions. An optimized checkout process is one of the best strategies to make sure users complete a purchase, according to experts. In the same way, you can try a one-page checkout flow to improve conversions on your store. WooCommerce, by default, provides hassle-free checkout options, which are simple and fast. However, if you want to add some advanced features to the checkout flow, you can achieve that easily with extensions. 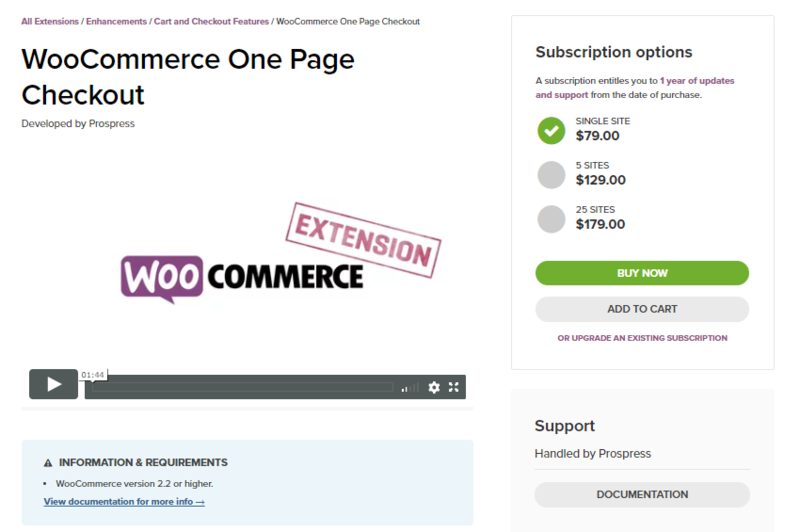 This article looks into the details of WooCommerce one page checkout. Additionally, you will also find a few plugins that you can use in this department. One simple logic that favors a single page checkout is that eCommerce customers look for instant gratification. As single page checkout is generally faster, we can safely assume that customers would prefer that over the slower multi-page checkout. At the same time, there are certain cases where multi-page checkout is more suitable. However, we will not go into those details in this article. Instead let’s focus more on one-page checkout, which, according to experts, is generally the preferred option for most online stores. In simple terms, a single page checkout is a lot faster and you can assume that your customers would love it. A simple analogy that an expert pointed out is that checkout is like a billing queue in a supermarket. Naturally, customers would look for a relatively less crowded counter. Same as supermarket queues, tedious forms to fill just before a purchase would tick off a majority of users. With WooCommerce one page checkout, you can easily bypass this problem and provide a clearer, faster checkout flow. Additionally, a single page checkout also provides better clarity to users. Here, customers know exactly about the different stages of your checkout process. Consequently, they will be more willing to go through the entire process and complete the purchase. The checkout flow on your WooCommerce store should work like a well-oiled machine. You ensure better user experience by implementing new strategies. And users will reward your efforts with more conversions. Several studies with split testing (determining how two versions of the same page perform) point to the effectiveness of single page checkout to improve conversions. The primary advantage of this is that it might be a driving force for customers who are on the verge of a purchase decision. A long, tedious checkout ahead would only help them to abandon their cart at that point in time. So it’s safe to assume that single page checkout would significantly contribute to increasing conversions. If you combine your single page checkout with Ajax, it will help a lot in improving the interactivity of your store. Ajax empowers web pages to modify content dynamically without requiring to reload the entire page. This is especially useful on checkout pages, as customers can make changes without the need to refill entire forms. As a result, your checkout page becomes more interactive. The result of all this would be increased customer satisfaction, and consequently better conversions. A single page checkout option that is powered by Ajax significantly contribute to page loading speed as well. It is true that multiple factors contribute to the page loading aspects. However, one-page checkout would naturally make your pages load faster. Further, this will contribute to better page ranking and more traffic. So, overall a single page checkout will contribute to better prospects for your store. There are multiple plugins in the WooCommerce community that helps you set up a smooth one-page checkout. Let’s look into some of these in more detail. This WooCommerce extension helps you reduce cart abandonment by offering the entire shopping process on one page. This enables your customers to go through a faster checkout process on your store. Basically, the plugin helps you to display product information and checkout forms on one page. As a result, your customers can choose to add or remove products to their cart and complete the purchase from the same page. The extension allows you to create multiple landing pages according to your requirement. This is especially useful for marketing campaigns and targeted sales drives to specific customers. All you have to do for this is to add a shortcode on the specified page along with the marketing content. 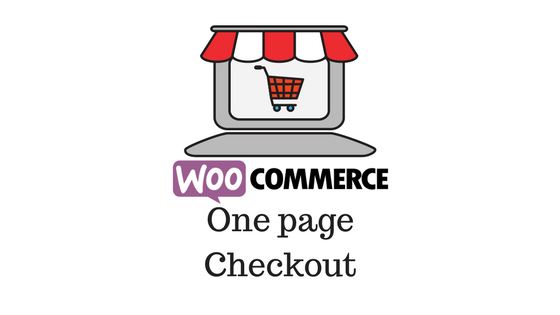 WooCommerce one page checkout provides great options to create a checkout flow on a single page. You will get a lot of control in terms of the display of products while using this extension. You can choose to display just one, or a set of products on a checkout page this way. If you want to display your entire product catalog in this fashion, you can do that too. Again, you get a lot of options with this plugin in the form of templates. There are multiple built-in templates like pricing table and list of products that you can choose for your store. According to your business strategy, you can choose the appropriate one. If you are not quite happy with these templates, you even have the option to create a custom template. You can buy the single site subscription to the plugin for $79. 5-site and 25-site subscriptions are $129 and $179 respectively. 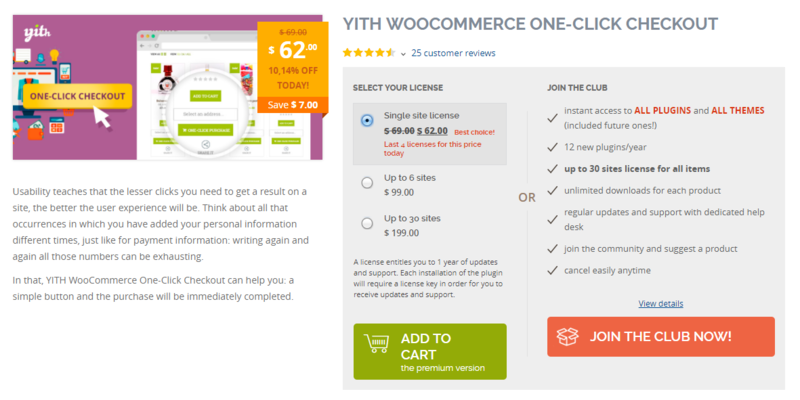 This plugin takes the whole one-page checkout concept one level higher – with just one click! The plugin facilitates your registered customers to Checkout in a single click, when all the necessary information is added beforehand. This might prove to be an exceptional boost in user experience on your store, as you are offering the quickest checkout to customers. With the help of this plugin, you will spare your customers from repeatedly entering the same information. After the first purchase, your customers can Checkout from your site in a single click using this plugin. Basically, you can activate the one-click checkout feature right after a customer makes the first purchase. For all the future purchases, the same data can be used to Checkout. The plugin provides the flexibility to exclude specific products from the feature. In the same way, you can choose to apply the one-click feature only to a few specified products. Also, it gives you an option to redirect customers to a specific page after the purchase. This can be to the payment page (if you prefer keeping it separate in the flow), or to a thank you page. With the plugin, you will have an option to let your customers add multiple shipping addresses. So, while checking out, they can choose the address where they would like the product to be delivered. The plugin supports Stripe payment system as well as WPML for translations. 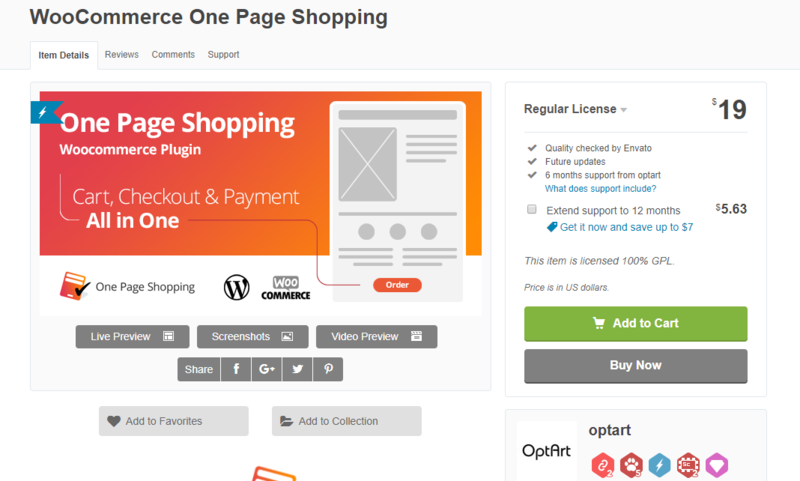 You can purchase the single site license of this plugin for $69. If you prefer the 6-site license, you may have to shell out $99. And, the 30-site license is available for purchase at $199. This plugin provides great scope to experiment with the checkout process on your store. You can improve the user experience on your store, as customers are able to checkout quickly once they select a product. The plugin manages this by displaying the checkout form on the same page where the customer added a product to cart. In addition, the plugin has more advanced features that let you display cart and checkout pages in combination with other pages. These other pages include product, category and shop pages, which you can configure separately. The plugin gives you the flexibility to display checkout options in multiple pages on your WooCommerce store. You can buy a regular license of this plugin for $19. 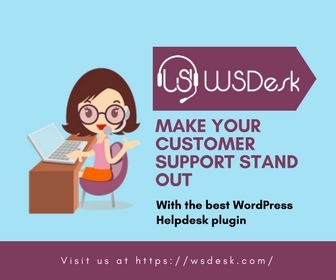 Due to the specific nature of the plugin that manipulates the checkout flow, it has compatibility issues with some of the popular plugins. Before purchasing the plugin, you may have to check if you are already using any of the plugins not compatible with this one. This is another plugin that helps you set up a faster checkout flow on your WooCommerce store. It helps your customers to complete their checkout relatively faster with its streamlined process. The plugin helps to avoid unnecessary redirects and page loads, and let customers Checkout from almost anywhere in your store. When you bypass the unwanted lag on the checkout process itself, you can reduce cart abandonment. Consequently, this will contribute to better conversions on your site too. 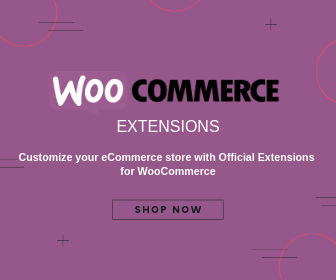 This plugin is a great option if you are keen to provide a faster checkout to your customers on your WooCommerce store. This plugin helps in improving the user experience on your site considerably. You can even present options to your customers to checkout from your product page or shop page. Moreover, the plugin ensures support for all product types and you can use shortcodes for configuration. You will also have great control over the display options while using this plugin. For example, you can choose to display the advanced checkout option in a lightbox or on the page. Similarly, you can choose to activate the feature only to specific products in your store, or to the entire product range. 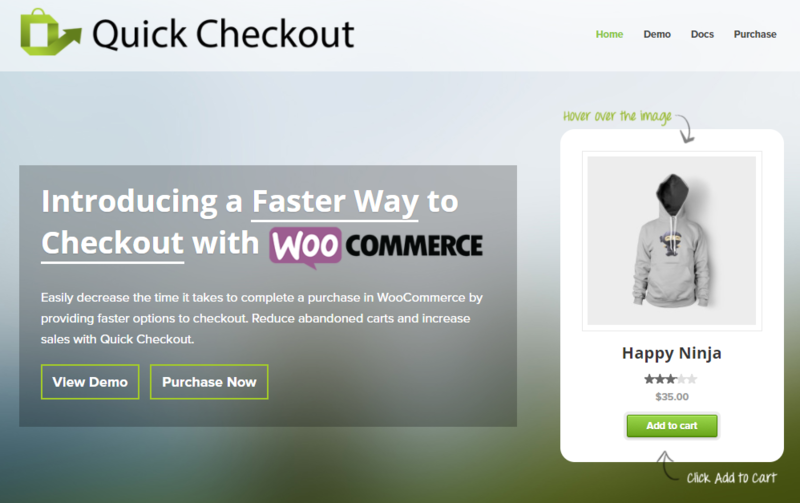 Quick checkout plugin supports all payment options available with WooCommerce. Moreover, it integrates seamlessly with WooCommerce and most of the popular themes. You will find it compatible with popular extensions like Gravity Forms, which might be important for your checkout flow. A single site license of this plugin is available for purchase at $76. You can get the 5-site and 25-site licenses for $149 and $229 respectively. The core options of WooCommerce itself is quite smooth and seamless. If you are using Storefront or any of its child themes, you know things are pretty easy when it comes to Checkout. Interestingly, the default WooCommerce checkout option is a great example of a good one-page checkout. It displays only fields and forms that are absolutely necessary to ensure a fast and simple checkout for your customers. By default, it has billing and shipping information, payment options and a summary of your order. And the billing and shipping options expand according to the choice of the customers, thus minimizing wastage of space. Also, if you want to add further fields to your checkout page, you can do so with plugins. You may provide just the necessary elements on the checkout page. Anything distracting the customer from completing the payment should be avoided. For example, you need to find a specific purpose for fields like middle name, multiple address lines, order notes, etc. If they are just there because many other sites have them, better avoid. Similarly, aggressive cross-selling on the checkout page too can be a bit of a distraction sometimes. Personalizing the products would give extra motivation to customers to complete the order, according to experts. This would mean additional input fields on the checkout page. However, if relevant for your products, this will be a good option to improve customer satisfaction and conversions. You can checkout some options for product personalization here. Whether to offer guest checkout or not is a matter of discussion in eCommerce. While it may work quite well for a set of products and customers, it may not work the same way for others. There are some cases where customer registration is essential like when you are selling digital downloads with WooCommerce. In many other cases, depending on your analytics data, you can offer guest checkout. This should definitely help your customers for a faster checkout. The checkout page is where you can convert abandoned cart to successful sales. You can try out multiple strategies in your process to ensure a faster, distraction-free checkout for your customers. 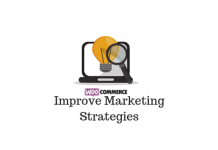 One page checkout is one strategy that is widely used by many WooCommerce store owners. 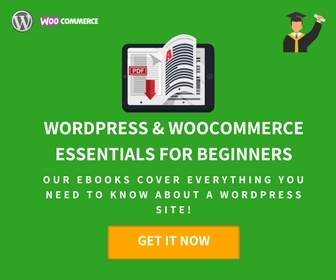 This article must have provided you with a glimpse of one-page checkout and a list of WooCommerce plugins. If you have a query regarding this topic, please let us know.